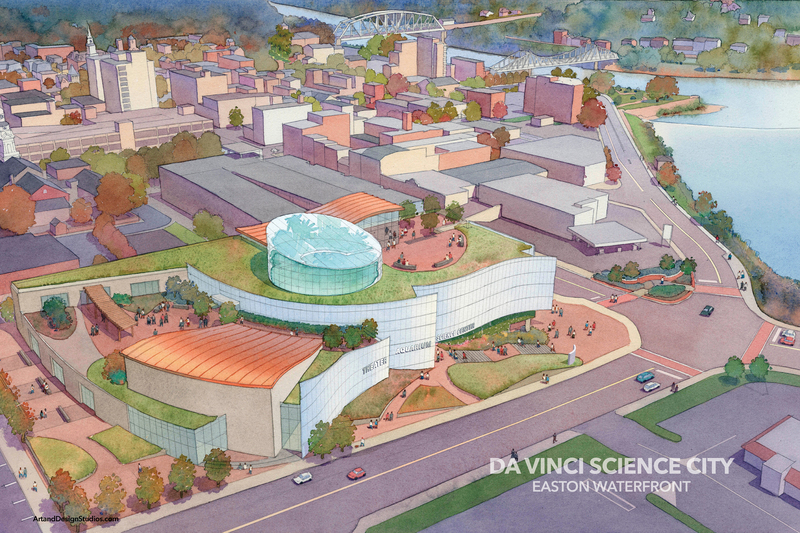 The City of Easton, Pa., and the Da Vinci Science Center announced Tuesday that they have signed a one-year Memorandum of Understanding to explore the feasibility of building a major science center and aquarium complex in the city’s waterfront area. The city also announced an agreement to purchase the Days Inn Hotel and property at the corner of South Third Street and Larry Holmes Drive as a site for the proposed new complex. The Memorandum of Understanding and Agreement of Sale were approved at a special meeting of the Easton City Council on Monday evening. The proposed $130 million project would be a major driver of economic activity for downtown Easton and is envisioned to be a major new tourist attraction for the Lehigh Valley. 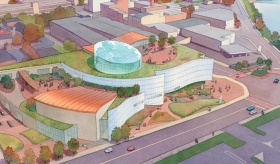 The proposed 170,000-square-foot complex – tentatively called Da Vinci Science City – will complement the Da Vinci Science Center’s facility in Allentown, Pa. which will be re-focused over time as a Children’s Discovery Center for children ages 8 and under. Da Vinci Science City will feature a state-of-the-art science center with permanent and traveling exhibit galleries, the largest public aquarium in Pennsylvania, a Creativity Studio public workshop space, an immersive giant screen theater, and a destination aquarium restaurant and event center. Distinctive hands-on experiences will promote curiosity, creativity, innovation, and the integration of art and design with traditional STEM concepts of science, technology, engineering, and mathematics. Da Vinci Science City is projected to attract over 600,000 visitors annually; create 200 permanent full-time equivalent jobs with an emphasis on hiring Easton residents; and produce $45 million in direct economic activity and $100 million in total economic activity each year. In the Memorandum of Understanding, the City of Easton has pledged to fund 25 percent of the project cost up to $30 million. The city and the Da Vinci Science Center will work together over the next year to secure major funding commitments for the project. 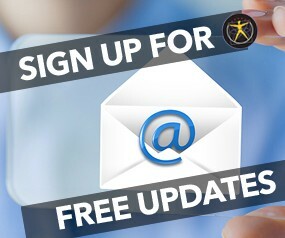 They also will fully assess the size, scope, cost, and feasibility of the project over the coming year. 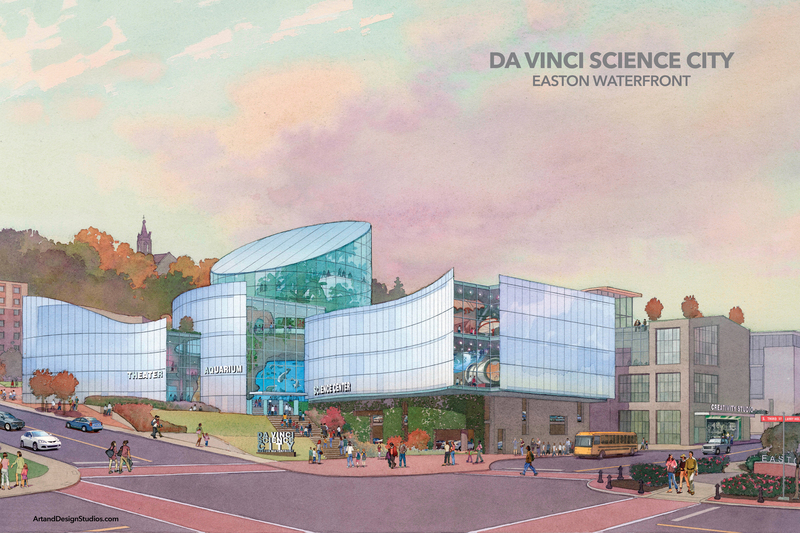 The Da Vinci Science City concept was developed by the Da Vinci Science Center in response to the rapidly growing demand for educational programs in the STEAM subjects of science, technology, engineering, art, and mathematics. The Da Vinci Science Center’s total annual visitation and program participation has increased 73 percent from 2011-2016. The organization also plans to expand its outreach programming with an emphasis on inspiring underserved students. Situated at the confluence of the Delaware and Lehigh rivers in eastern Pennsylvania, the City of Easton is home to diverse and architecturally rich neighborhoods; contemporary shops, restaurants, and art galleries; the Crayola Experience; and Lafayette College, a highly-respected and tradition-rich liberal arts institution. The Da Vinci Science Center is a national award-winning nonprofit organization that has brought science to life and lives to science since 1992. 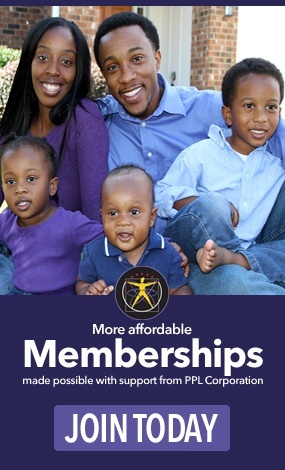 The Center’s hands-on exhibits, programs, and partnership efforts present science, technology, engineering, and mathematics to kids informally, playfully, and in ways that relate to their popular interests and inspire them to consider STEM careers. The Da Vinci Science Center’s feasibility study is supported by a grant from the Pennsylvania Historical and Museum Commission, a state agency funded by the Commonwealth of Pennsylvania.